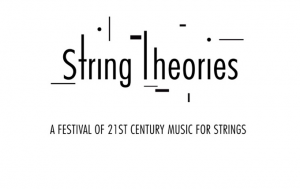 The String Orchestra of Brooklyn (SOB) is proud to present its inaugural String Theories Festival; a four-day festival spanning March 26-29, 2015. This four-concert festival will feature over 40 different performers and composers from around the world celebrating 21st-century music for strings. The String Theories Festival kicks off with the New York premiere of Andrew Norman‘s The Companion Guide to Rome, plus recent chamber works by Scott Wollschleger, Leah Asher, and John Stulz. The performance is curated by violist Anne Lanzilotti, who will also be performing alongside Meaghan Burke, cello; Lavinia Pavlish, violin; John Stulz, viola; and Alice Teyssier, flute.